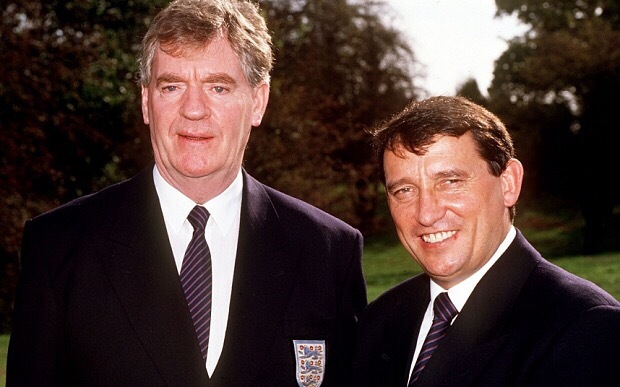 When Lawrie McMenemy was asked by Graham Taylor in 1990 to assist him with England, it came as a surprise. McMenemy had been out of football management for three years since an unhappy spell at Sunderland ended. He and Taylor were not old mates or colleagues, although they had been opposing managers during a few encounters between Southampton and Wafford in the first half of the 1980s. But Taylor was happy to hand McMenemy his route back into the game. However, McMenemy was to soon get his first hints of the slightly bemusing regime that lay ahead when he discovered he would be ‘assistant to the manager’ rather than ‘assistant manager’. It all seemed rather like David Brent and Gareth Keenan in The Office and unfortunately the next three years would be remembered as farcically by some. McMenemy was responsible for the B and under-21 teams, but unfortunately for him he would mostly be associated with the failings of the seniors. The Taylor years sit awkwardly between the highs of semi-final places at Italia ’90 under Bobby Robson and Euro ’96 under Terry Venables. The regime is remembered as a low point despite being unbeaten in its first year at the helm. As McMenemy would write about Taylor: “Out of 38 matches he only lost seven but three of those really mattered.” And perhaps that really sums up how most people remember the Taylor years – the crucial defeats by Sweden, Norway and the Netherlands. McMenemy does offer some sympathy for Taylor and defends him over the style of football used with England, as well as writing that “those of us who know him well tend to support him against all comers”. But the book suggests otherwise. There are several passages where he believes Taylor made mistakes he would not have committed, with McMenemy not afraid to criticise him for it. You won’t find much evidence of McMenemy blaming himself for what went wrong. He believes there were warning signs from early on that problems lay ahead. Bryan Robson wrote in his autobiography that he felt cliques were appearing in the camp around this time. That view might have been dismissed as a player on his way out no longer feeling at home in the set-up, but McMenemy was concerned to see the same thing. He writes: “Cliques had emerged, with the same groups of players eating together and who stuck together without embracing the sprint of the camp. That is something that should have no place in any squad at any level.” There seems a lasting frustration for McMenemy that he could not tackle such problems head-on, instead simply raising concerns with Taylor – who he felt did not share or act upon his concern. Relations between Lawrie McMenemy and Graham Taylor cooled during their time working together. But McMenemy was left baffled as he saw Taylor substitute retirement-bound Lineker during the decisive Euro ’92 defeat by Sweden when England needed to score. “It was quite simply the wrong decision,” McMenemy writes. 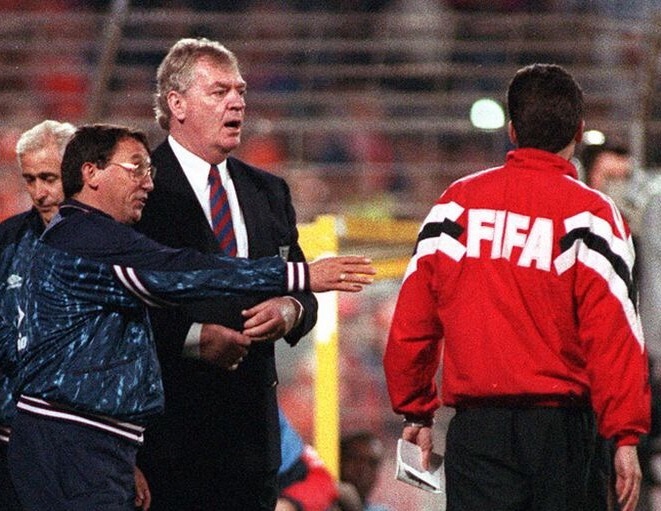 “I could not believe what Graham had done, how a manager of his experience would not see to the danger to himself, if nothing else, from the decision.” The moment served as the turning point in Taylor’s reign, heading into the ill-fated qualifying campaign for the 1994 World Cup with the press now increasingly against him. During the campaign McMenemy felt his relationship with Taylor begin to decline. He was wary of the manager appointing a spin doctor in David Teasdale, but the real damage was done by the infamous fly-on-the-wall documentary being made about Taylor and England during the qualifying series. McMenemy claims he only became aware it was being made in June 1993 in Norway. He voiced his concerns to the manager, but again Taylor would not change his mind. Things go wrong for Taylor and McMenemy in Rotterdam in 1993. McMenemy felt particular sympathy for fellow coaching staff member Phil Neal over the way he was portrayed in the documentary and remains unhappy about Taylor pursuing the project behind their backs. “We should have been warned of Graham’s decision on the documentary,” he writes. “I will not go further than to say it was selfish of him to sanction a documentary that worked against a staff that wished no harm. The full impact of what he had done took some time to emerge.” By the time the documentary aired early in 1994 both Taylor and McMenemy had moved on. The latter would later read in Graham Kelly’s memoirs that Taylor said he would only step down if McMenemy didn’t take his job. It’s fairly clear things had gone sour between the pair. McMenemy has since served the FA again in an ambassadorial role, while also being an international manager for a short time with Northern Ireland. For McMenemy, the England assistant years represent a mere fraction of his life in football. Despite never making a professional appearance as a player, he would go on to lead both Doncaster Rovers and Grimsby Town to the Fourth Division title. But it was in his long spell in charge of Southampton that he really made his name and led them to success including winning the FA Cup in 1976, recalling in his autobiography manging England stars at The Dell – most notably Kevin Keegan, who he signed in a transfer coup in 1980. Less happily, he looks back at the feud with fellow Saints legend Terry Paine – a member of England’s 1966 World Cup winning squad – and also reflects on his dressing room fracas with young defender Mark Wright early in the 1983-84 season. McMenemy offered to resign but he stayed at the helm, leading the side to a club best second place in the First Division with Wright soon to earn his first England cap. The pair would work together again when McMenemy joined the England set-up. This book is not a thriller but McMenemy’s footballing life story is one that deserved telling, from turning down the chance to manage Manchester United to his friendship with Brian Clough and his years as a BBC pundit. But Taylor may once more be left uttering “do I not like that?” if he reads McMenemy’s memoirs of their time working together. 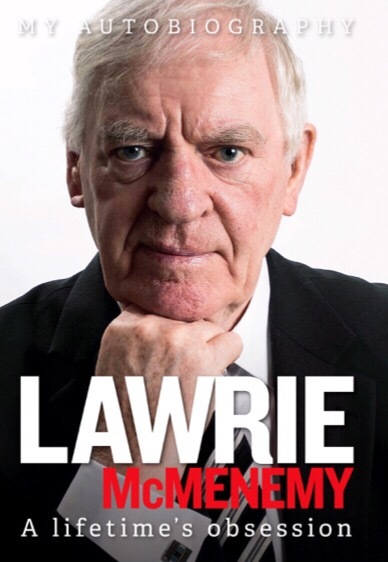 Lawrie McMenemy: A Lifetime’s Obsession is published by Trinity Mirror Sport Media, with a cover price of £18.99. Great post. I’ve met The Big Man a few times – he’s a fantastic bloke – really put Southampton back on the map in his time. Shall have to wait until the book is at least half price before I can afford to read it though.